Press — Positively Caviar, Inc.
Washington, DC (January 26, 2019) - On Saturday, January 26th Positively Caviar, Inc. joined forces with Best Kids to facilitate a B.U.I.L.D Self-Empowerment Workshop at the Frances A. Gregory Library in Washington, DC. During this time Positively Caviar created a fun, safe, and positive environment amongst foster children and their mentors to promote all of the necessary qualities in making decisions for a positive, healthy, and purposeful life. BEST Kids, Inc. is a 501(c)3 non-profit organization that provides mentoring to foster care children in the District of Columbia’s Child Welfare System. Through their one-on-one volunteer mentoring, our extensive training, staff support and our experiential-learning-based peer group, this program empowers youth in foster care to build better futures, one child at a time. The Best Kids organization often works in collaboration with other community partners to help fulfill their mission. Positively Caviar coordinated a B.U.I.L.D (Being Unique Individuals by Learning and Developing) workshop for about 13 participants ages 6 – 11 from the Best Kids program. Children and their mentors had the opportunity to learn about mental resilience and positivity through activities/discussions which included: The Power of Yet, Growth Mindset vs. Fixed Mindset, the importance of gratitude, and Family Feud (their personal favorite). The session ended with a mediation session amongst all everyone in attendance. 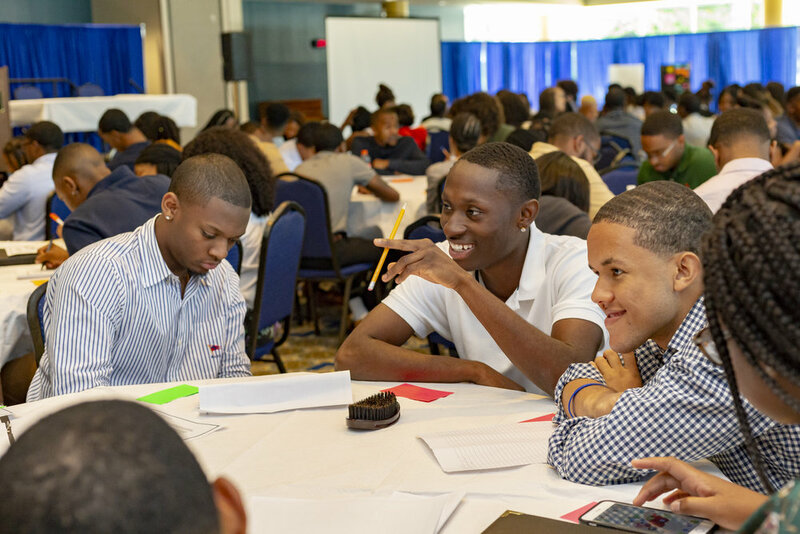 The Greer Dawson Wilson Student Leadership Program at Hampton University is a service-learning and leadership program that plays a vital role in the holistic development of Hampton University students by providing community service experiences and interpersonal and leadership skills training opportunities. Every summer, the Greer Dawson SLP program hosts a retreat preparing them to lead students in the new school year. 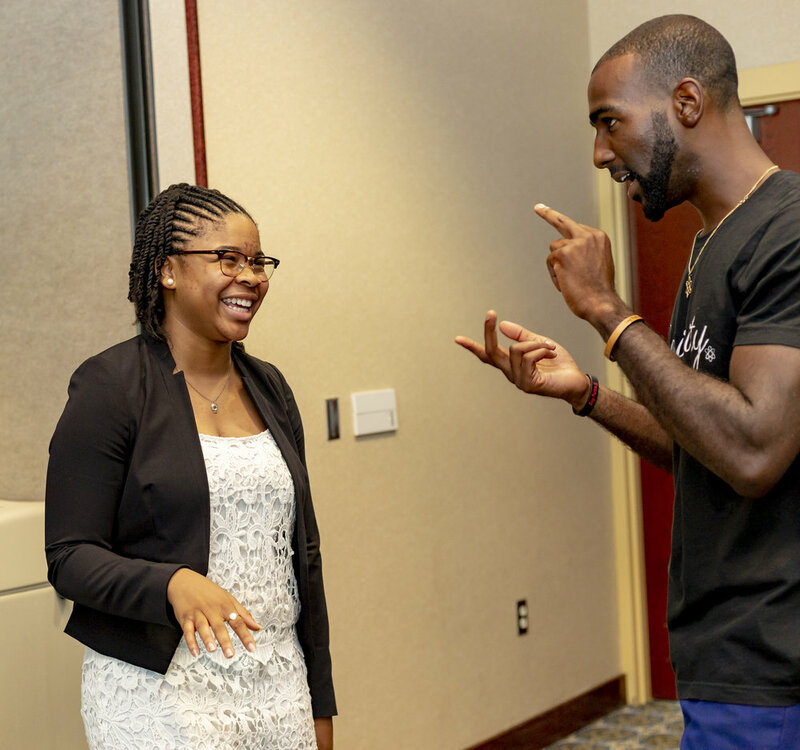 This retreat also focuses on building relationships within the program in an effort to encourage self-awareness, development and build synergy amongst fellow leaders. On Sunday, August 12th Positively Caviar’s Executive Director & Chief Creative Optimist, Chazz Scott, participated as the keynote speaker, holding a B.U.I.L.D. workshop at the annual student leader retreat. The young adults that participated left feeling inspired and ready to aspire others. 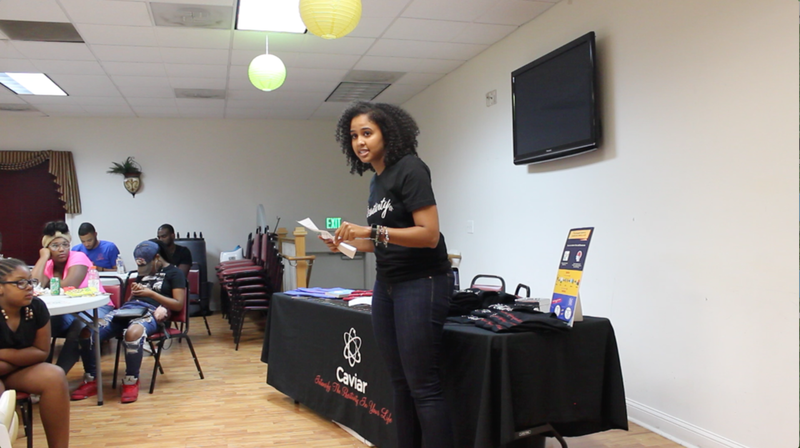 The Positively Caviar team enjoyed having the opportunity to inspire college students to achieve their best self. The team will continue to participate in workshops that intensify the positivity in the world. On June 15, 2018, Positively Caviar participated in a Youth Day seminar at The Garden of Prayer Christian Church in Baltimore, MD. Children and young adults ages 6 - 20 had the opportunity to engage in a thought-provoking conversation based on the subject of fear. Youth Day is an event that takes place in various Christian churches and denominations. This annual event is used to focus on the youth in the church and give them a platform to learn more and encourage them to live their best life. The order of events for Youth Day at the Garden of Prayer Christian Church included icebreakers, our high-intensity speaking engagement, and a round robin of questions from the audience. 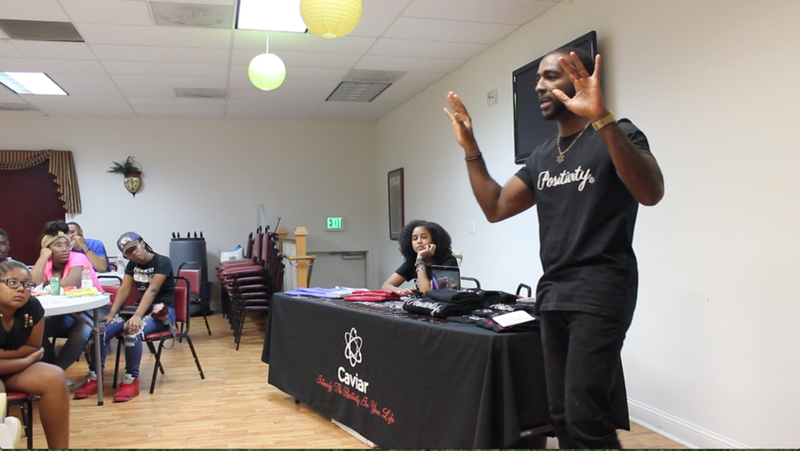 The theme of Youth Day 2K18 was “I Have No Reason to Fear” giving the Positively Caviar Team the opportunity to speak to youth and families in Baltimore City about the science of positivity & optimism, overcoming fears, and gaining resilience. Shayma Sulaiman, Chief Program Officer, and Chazz Scott, Chief Creative Optimist, exposed the youth and their families to strategies and tips to reach their fullest potential in life such as: instilling habits to wake up early, how to use “the power of yet”, how to overcome fear, a healthy diet, and the importance of maintaining meaningful relationships. Positively Caviar was extremely excited to be a part of this motivational and encouraging event. “It was really humbling to bring people from all ages and all walks of life together to discuss the topic of fear”, said Shayma.” “Although every individual has his or her own separate path we were able to discuss the reasons we fear, the science of fear, and ultimately how to overcome it.” For more information or to find out how to partner with Positively Caviar on future programs, please click here or contact us at info@staybasedandpositive.com. On November 21, 2017, Positively Caviar, Inc. visited Cherry Hill Middle School in Baltimore Maryland, to lead an inspiring B.U.I.L.D workshop. Founder, Chazz Scott and Chief Program Officer, Shayma Sulaiman were able to fulfill their duty of inspiring, motivating, empower the young girls that attend this school. Cherry Hill Elementary/Middle School is an institution located in the heart of Baltimore, Maryland. With high crime and poverty rates in this community, Positively Caviar realized the need to provide a workshop centered around maintaining an optimistic lifestyle and mindset. Students were exposed to a fun, creative, and positive environment where they had the opportunity to express themselves. By the end of the workshop, the young ladies were encouraged to be their best self and continue down the road of success.